Sasanqua camellias are the earliest flowering variety producing single or semi double slightly fragrant flowers. This variety is sun tolerant and slightly drought tolerant. 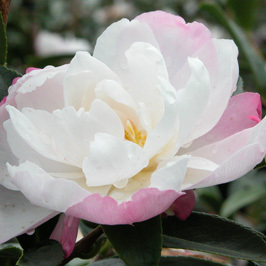 Sasanqua camellias are suited to hedges and espalier. Before planting water the plant well. Dig in plenty of compost or well rotted animal manure.